Clearly iStamp: Donut Box SVG and PDF, Sleigh SVGand PDF, and Card Cuts SVG files release today! 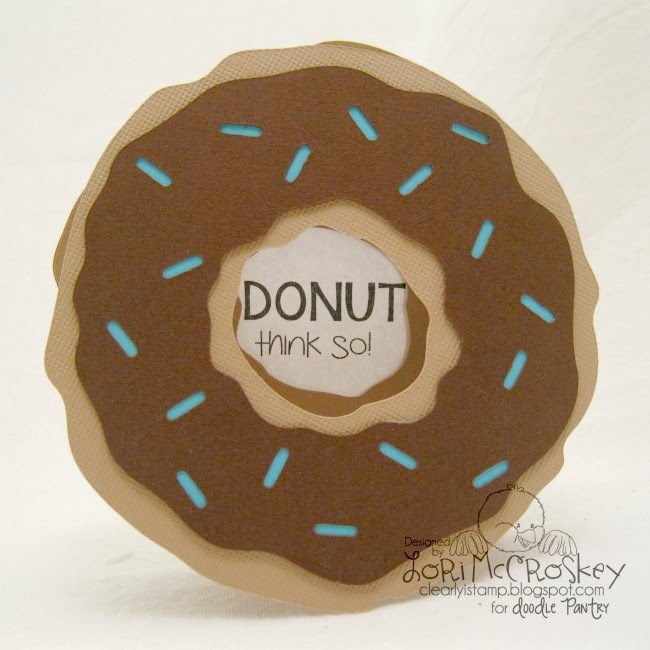 Donut Box SVG and PDF, Sleigh SVGand PDF, and Card Cuts SVG files release today! 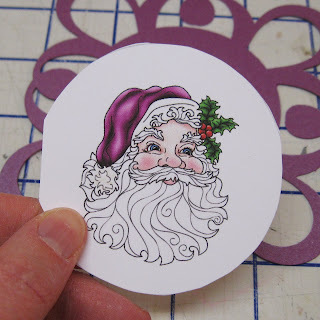 I'm here today to show you my new SVG cut files for November! Let's get going...I think that you are going to love them! 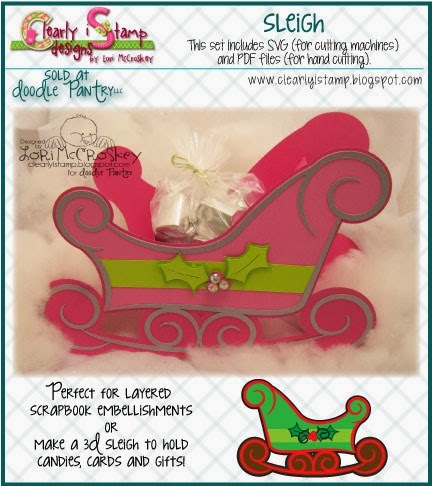 Get the Sleigh File here! 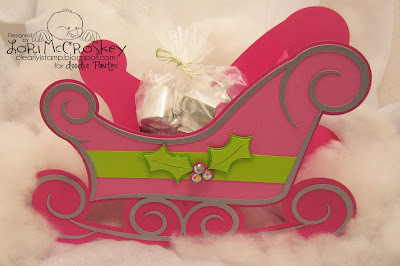 This Sleigh SVG is sure to make a swishing entrance at the next Christmas Party you are in charge of decorating! 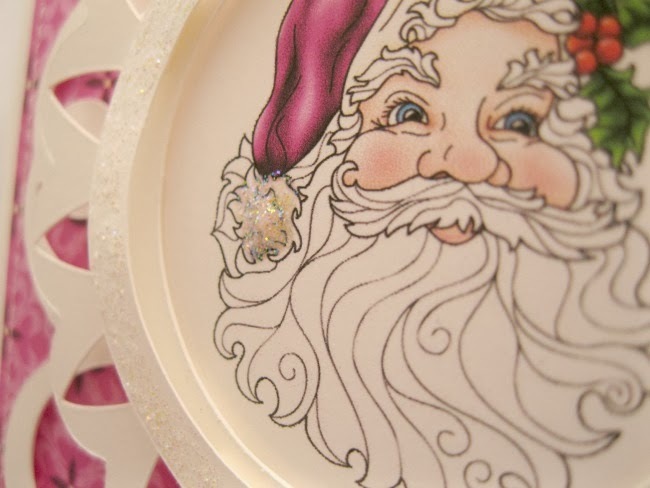 Why not leave a little sleigh filled with presents for Christmas morning? 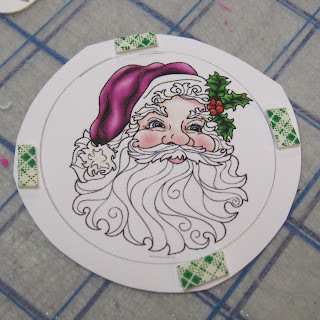 What a cute alternative to stockings! Fill with flowers, candy, candles…..be creative! 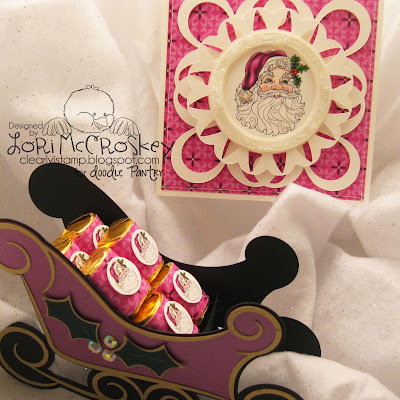 Make sure and pair this set with Laurie’s Jolly Saint Nicholas Digital Image! Don't forget to put a bag of goodies in your sleigh! I wish I had lime green cellophane! 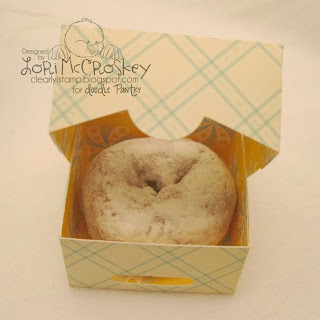 I will have to look for some! For this sample I shrunk my Sleigh Svg to cut a smaller size. I am going to give these little sleighs with candy and gift cards for my husband's office gifts this year. I'm so excited that I already have this figured out! The little images are from Laurie's Jolly Saint Nicholas set. These are little nuggets that I printed the coordinating paper. 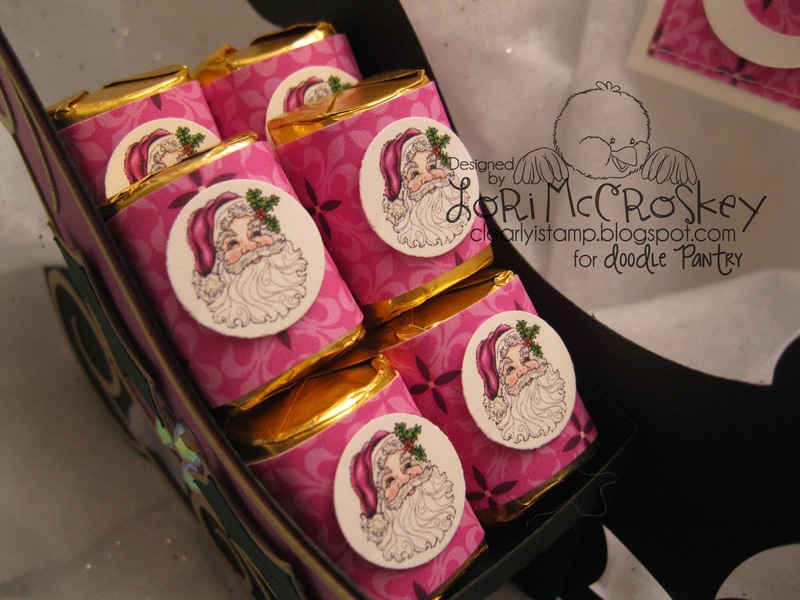 I then printed the little Saint Nicholas very tiny and punched them out to put on my sleigh treats! Get the Donut Box File here! 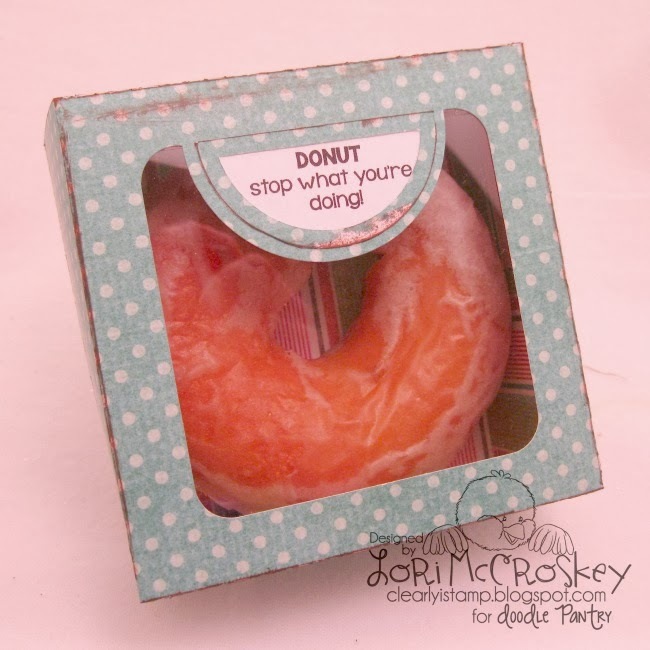 This cute little box makes a wonderful little encouragement gift for a coworker, teacher, mom and dad, and so many more! Sized to fit a 4” donut perfectly, you can decorate this little box up to match your favorite donut! Fill them with little donut cards to share with others! 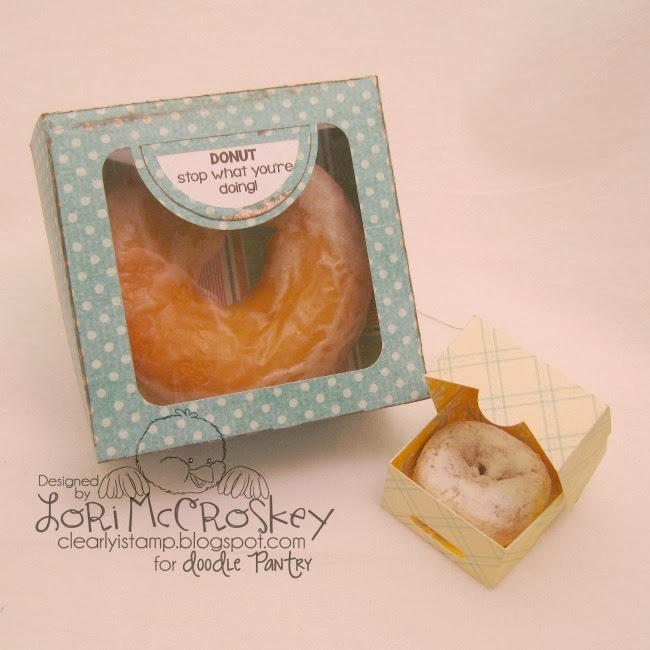 This little box also works perfectly with Laurie’s Office Accents set….make sure to check it out! There are two different versions of the box. 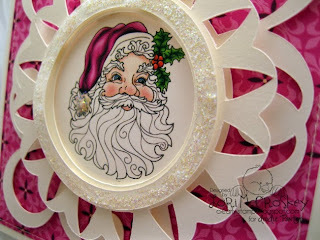 One has a little frame and saying slot on it...isn't that cute? 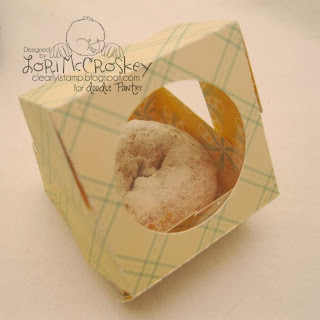 The little mini box is for everybody's favorite powdered donuts! 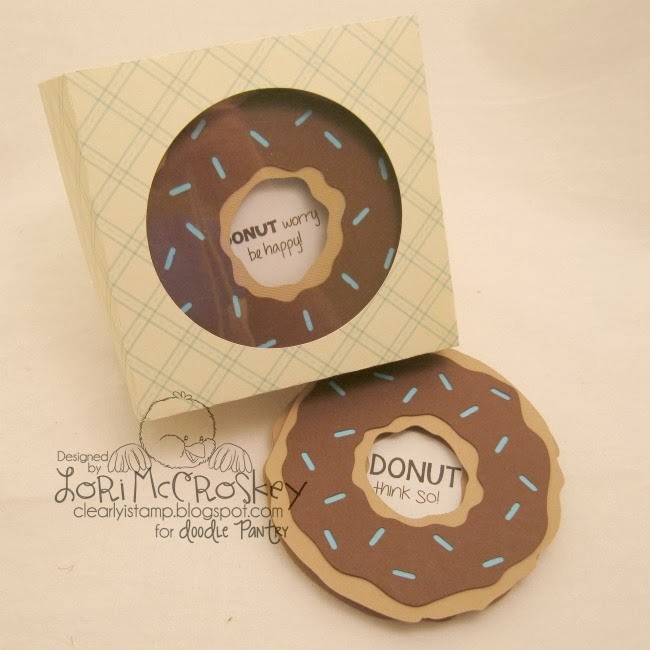 DONUT (Don't :-)) forget to make your little matching donut cards! This is the second variation of the box....a circular window. Designed with Digital Images in mind! Each Design has been created with windows for you to showcase any of your favorite digis! 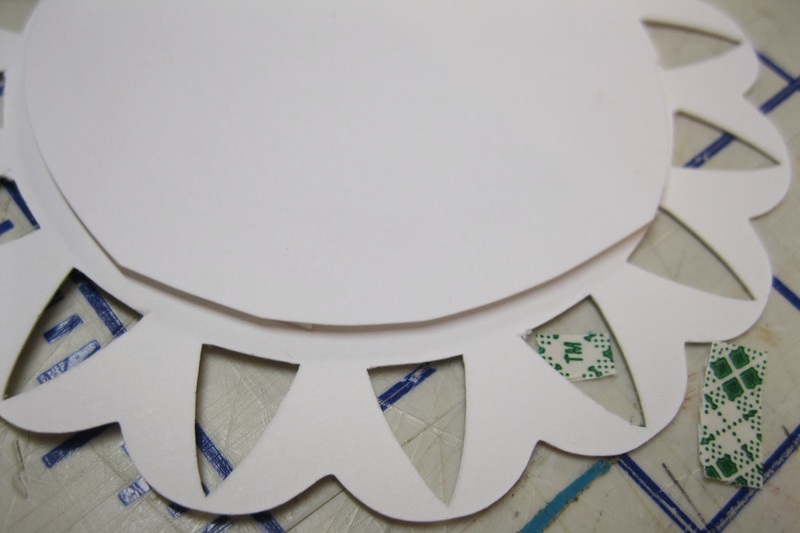 Now you don’t have to try and align your printed digital images on your cutting machine mat. 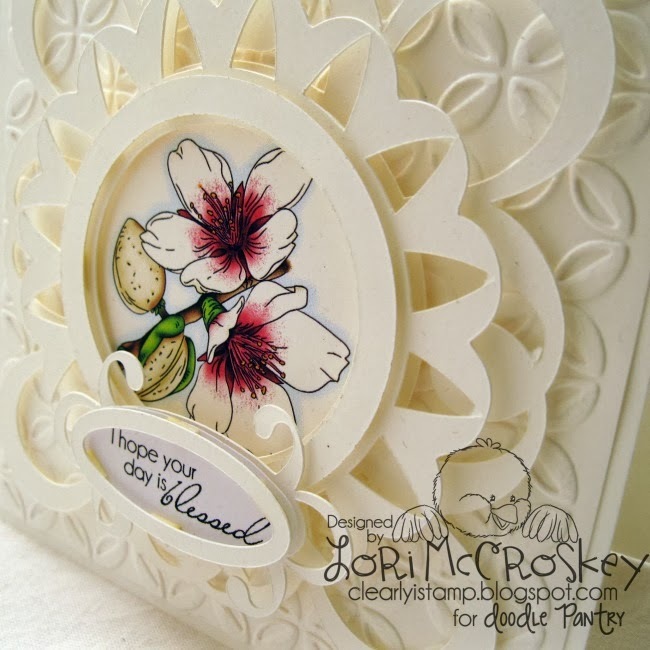 Just cut out your Card Cut design, place them in the window….trim them to fit….and you have a beautiful creation every time! Create a stockpile of Card Cut frames to create a card in an instant! 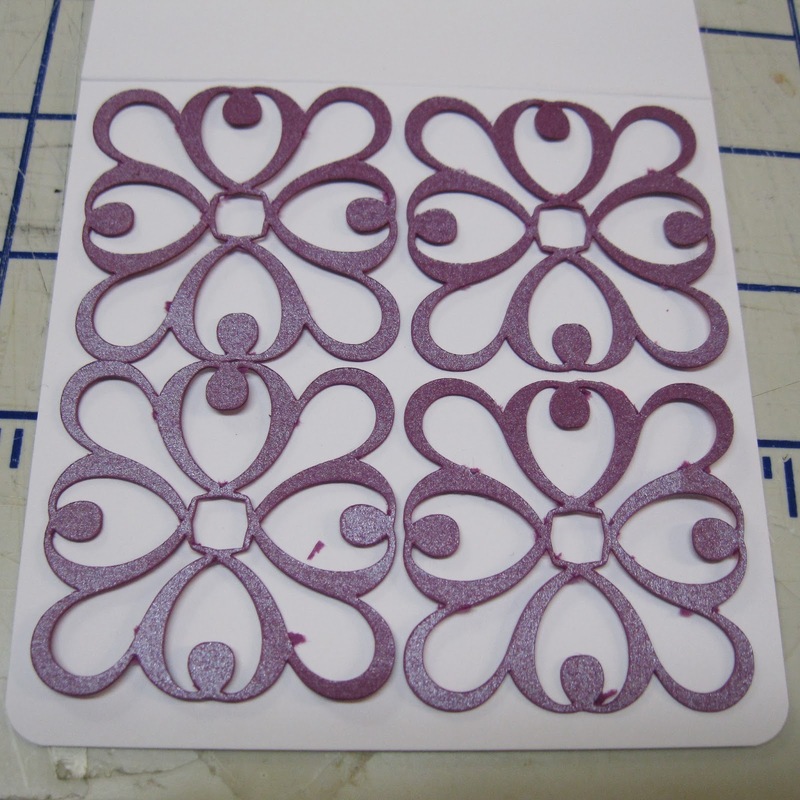 Here I have my first medallion frame cut out. I am tracing around the inside to tell me where to trim my image. Glued it to the inside of my frame and checked the back to make sure the digi image was trimmed enough it wouldn't show on the front. Now I have a beautifully framed digi image! 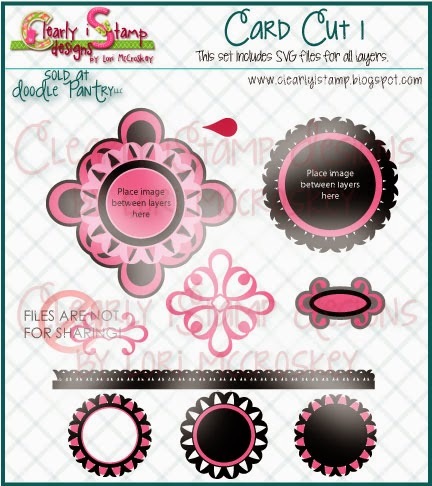 Get Card Cut 1 file here! You are going to love playing with these....they will work with all your favorite digis! 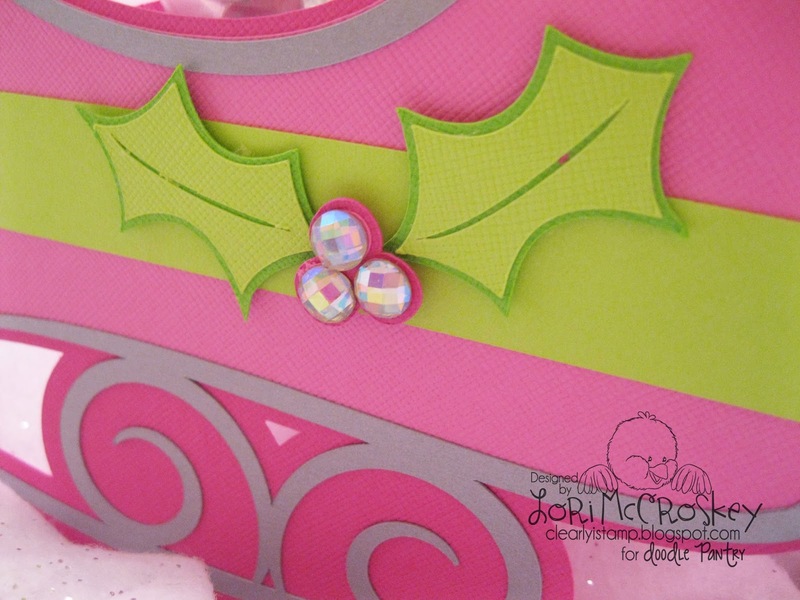 This background I created by making the flourishes small and grouping them. 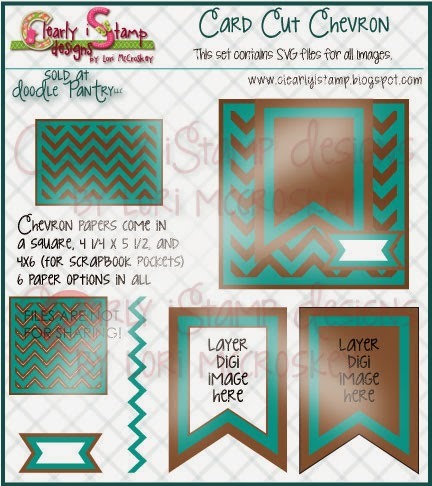 Get Card Cut Chevron here! This one I haven't had time to play with yet....but I can't wait to! I think it would be really cute with a picture in it for a grandparent card! 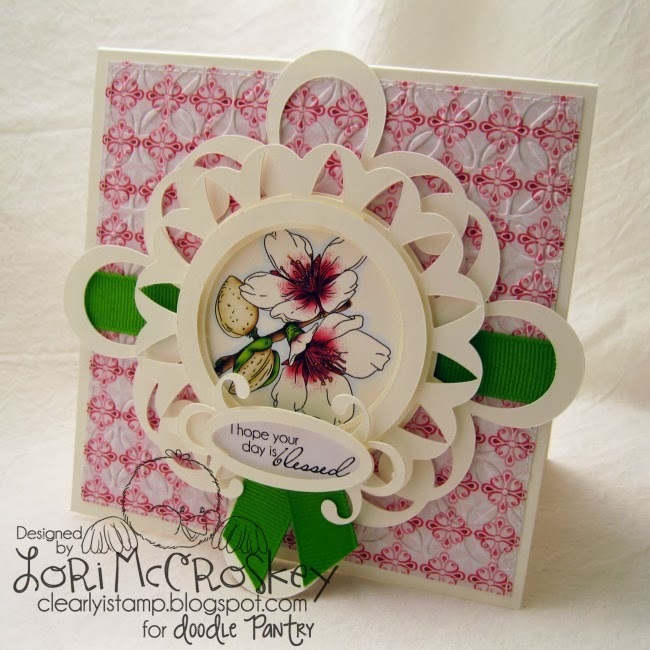 Here are some samples by the Doodle Pantry Design Team! You can see more at Lorianna's Corner here! 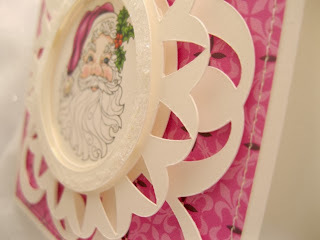 You can see more on Lola's blog here! Fabulous creations and wonderful new cut files! Wow you are on a roll sister. Lol. Your dies are beautiful. I often wonder if they will work with my Scal program which is the 1st one that came out which is no longer available. 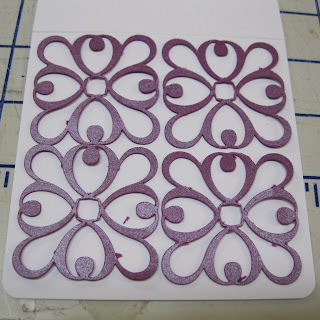 I love these so much but I am thinking that they will not work with my program which I got from Crafters Edge I think it was called. Anyway, this is beautiful and happy to see that you are still creating. 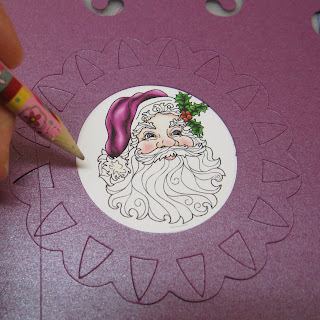 Hope that Homeschooling is going great and that you and the kiddies are having lots of fun. HUgs. Lori my email is homespun elegance.jk@gmail.com (no space) shoot me an email when you can!